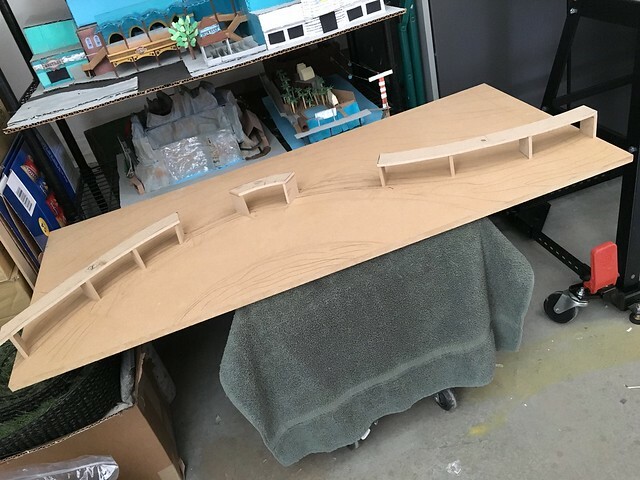 As Disney is currently building the new section of the Disneyland Railroad and Rivers of America, I decided to make a scale model of what the new section will be like. The only piece of reference I had was the concept art that was released, so I made some of my own design choices. 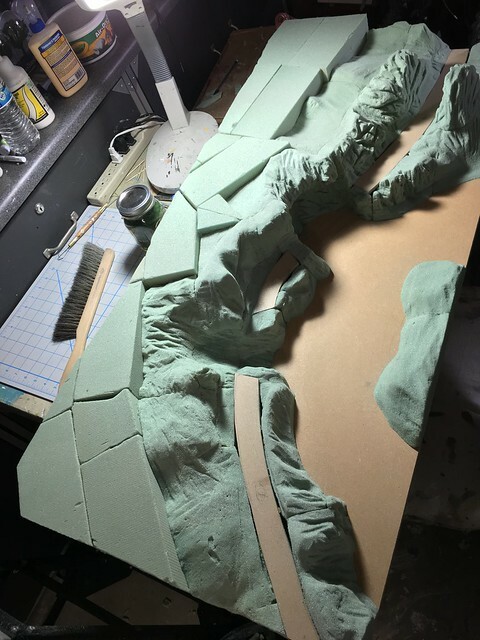 Follow along in this two part series as I show how I designed and built this project. 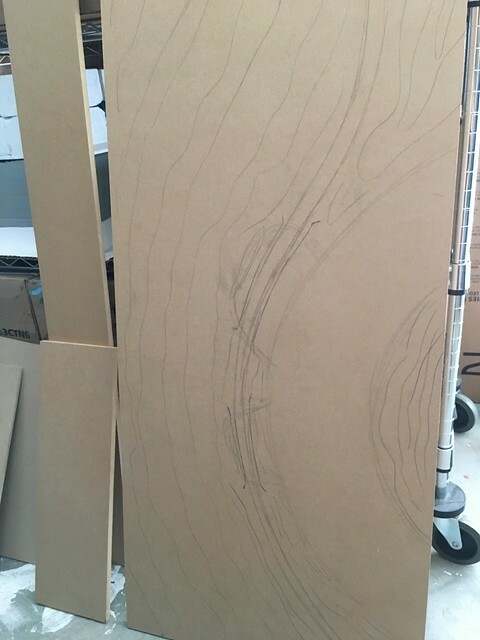 Start off with a 1.5′ x 3.5′ size sheet of MDF board and trace the rough layout on it. 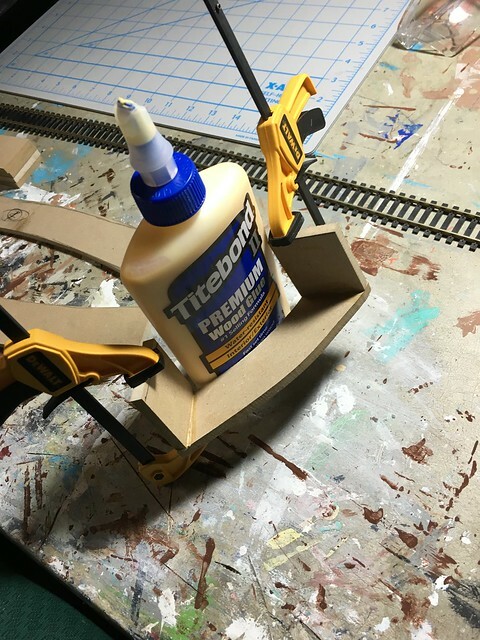 Cut out the benchwork for the track on the bandsaw and glue them to the braces. Aren’t these little clamps the cutest? 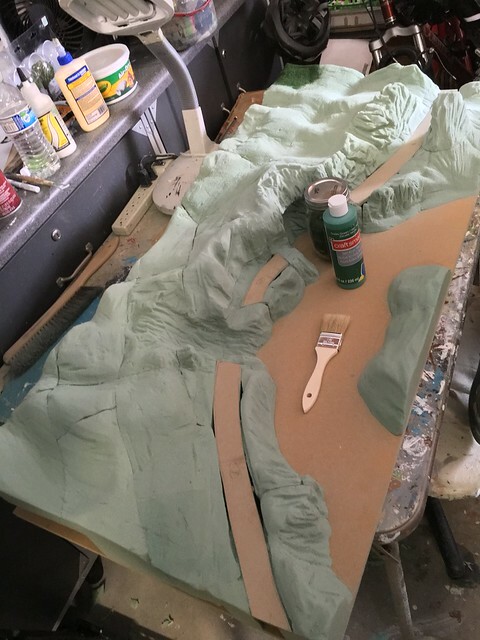 Then glue the whole piece to the base. Start building a grid of foam blocks, cut the blocks so they lock together. 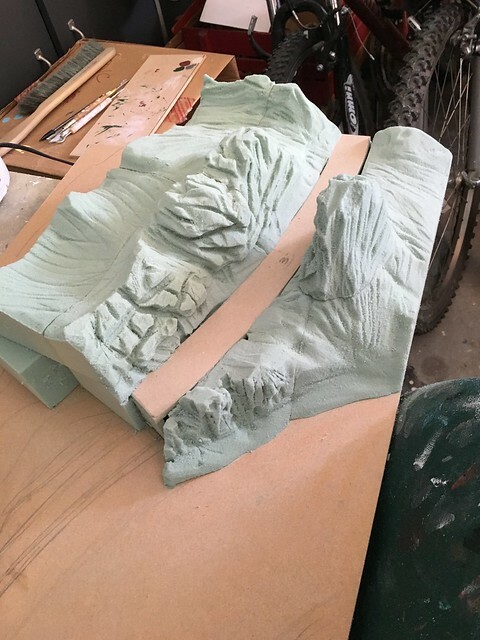 Then begin to sculpt them. 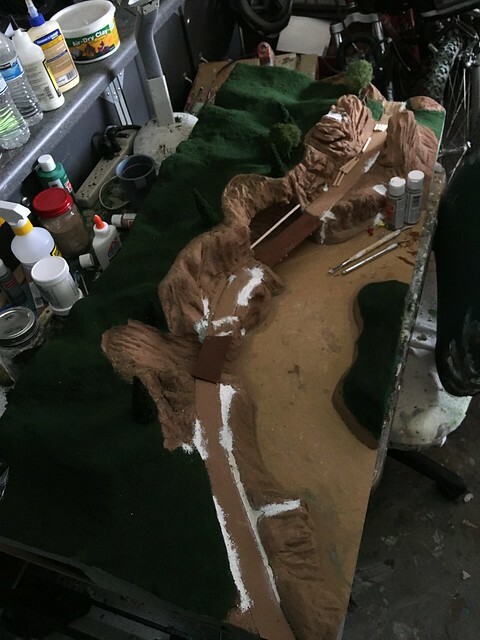 Once you get all the foam glued in and sculpted, you start painting. When painting, you should use paper towels to sponge up excess paint, it gives more texture to the foam. 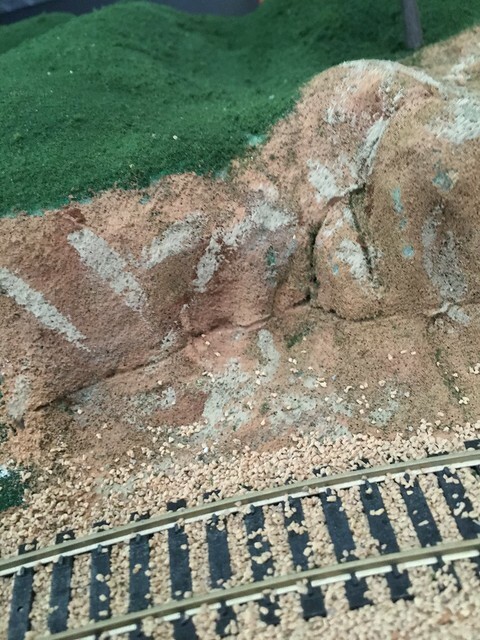 Add various shades of brown and gray to help give highlights and variation in the rocks. 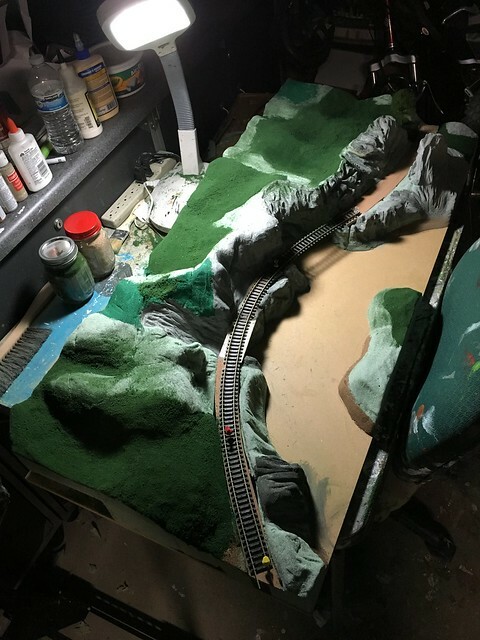 Patch up crevices and gaps in the foam with putty and paint over it. 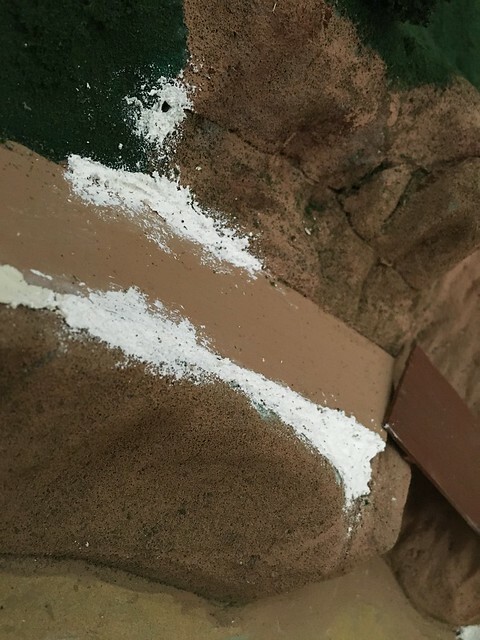 Paint the grassy hills with green paint and cover it with fine turf flock. 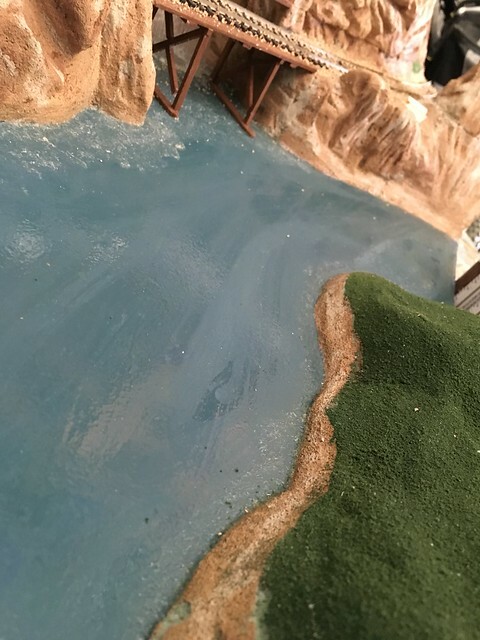 Paint the riverbed a deep blue and add some scrap wood and duct tape to hold back the realistic water. 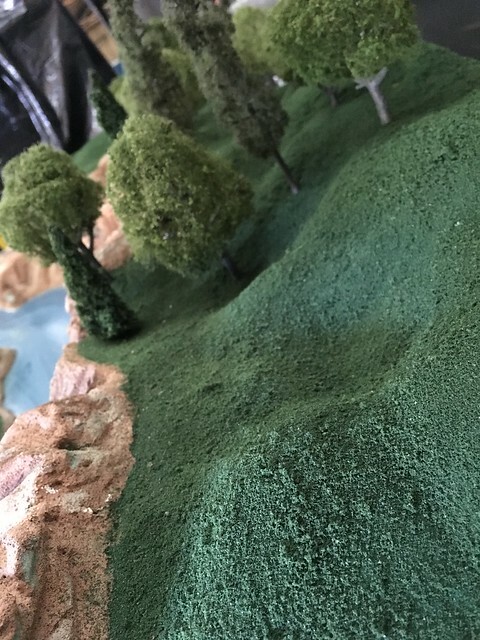 Pour Woodland Scenics Realistic Water and spread to cover the whole river. If you don’t pour it all at once, you’ll be able to see a seem between the two pours. 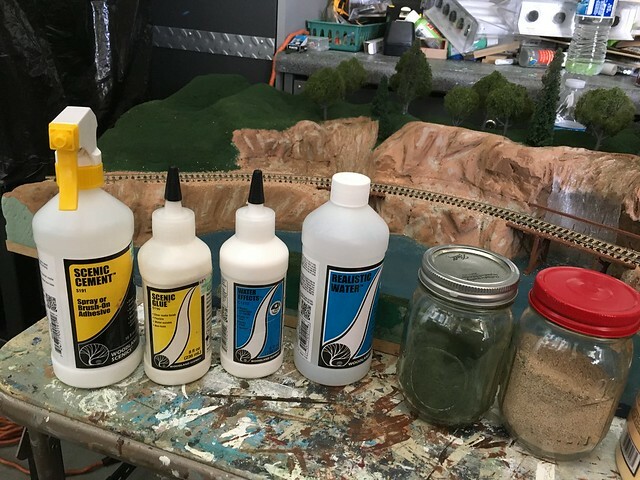 In Part 2 you’ll learn how to create waterfalls, plant trees and lay railroad track and ballast. Nicely done! 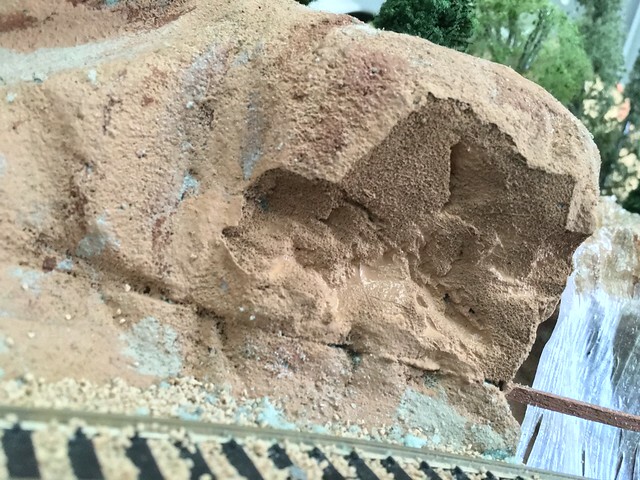 Hope you don’t mind, I shared your project on my Thunder Mesa Facebook page. 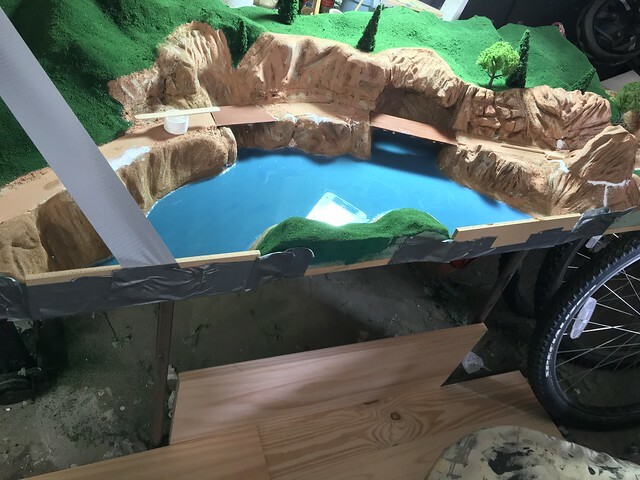 Looks great so far.